At many schools, a new band storage facility wouldn’t cause much cheering. But, at Florida State University, which boasts the largest college marching band in the world, it’s reason to celebrate! 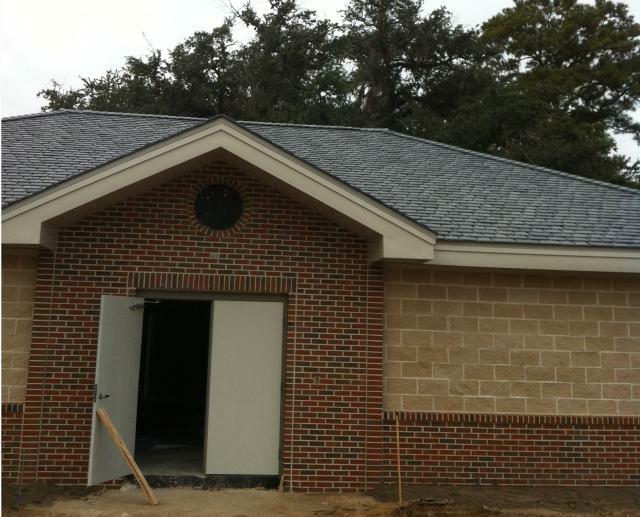 The new facility boasts a DaVinci Multi-Width Slate polymer roof in Castle Grey. With room to store the instruments for 470 marching band members, the new FSU band storage facility on the Tallahassee, Florida campus gets lots of use. Whenever the FSU Seminoles are in town, the Marching Chiefs band members (which was started in 1939) are on the field in full uniform performing impressive halftime routines. Something else that’s impressive is the new roof on their storage facility. Installed by Exterior Specialists Inc., the DaVinci slate roof resists, fire, impact, insects, algae and curling — and it has a 50-year limited warranty. That means that generations of marching band members can safely store their valuable instruments in the facility without worry!